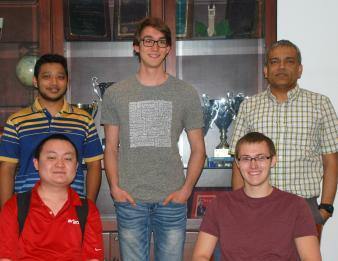 Computer Science/Software Engineering Club is the undergraduate student club for Computer Science and Software Engineering students. During the fall and spring semesters, CSE Club hosts meetings with industry recruiters and companies seeking interns for summer and full time employees. CSE Club also holds a variety of social events for computing students and helps to organize teams for the ACM ICPC contest each year. The club advisor is Dr. Simanta Mitra. For more information on CSE Club please visit their website or their Facebook page, or email them at csclub at iastate.edu. 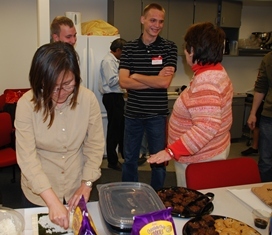 At right: Dr. Tavanapong demonstrates the finer points of rolling sushi at a CS Club social event. The Computer Science Learning Community is a residential community in Friley Hall. Freshmen students in the learning community can take advantage of the weekly study sessions offered in the residence hall by experienced CS and SE students who serve as LC Peer Mentors. The Learning Community takes Math and Computer Science classes together (same course sections and times). 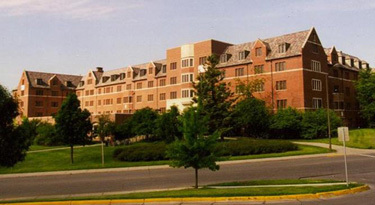 Students are not required to live in Friley Hall to be a member of the Learning Community, however it is highly recommended, as that is what makes it a "community." The CS Learning Community Coordinator is Dr. Steven Kautz. ISU competes each fall in the regional contest for the IBM sponsored, ACM-ICPC. The CSE Club organizes practice competitions in September and October to prepare for the regionals, usually held around the end of October or the first weekend of November. The ISU Computer Science Department has sent teams to the ACM ICPC World Finals during 2009, 2012, 2014, 2015 and 2016 to compete against other teams from some of the top ranked schools in computing around the world. Interested in participating? Contact CSE Club, or Dr. Simanta Mitra, ICPC team coach. At right: Students are ready to compete in the 2016 ACM ICPC World Finals.